So listen up. I do not like to lose, I do not like to give up, I do not like to fail, and I certainly do not like to be bested by a cheap cut of meat. 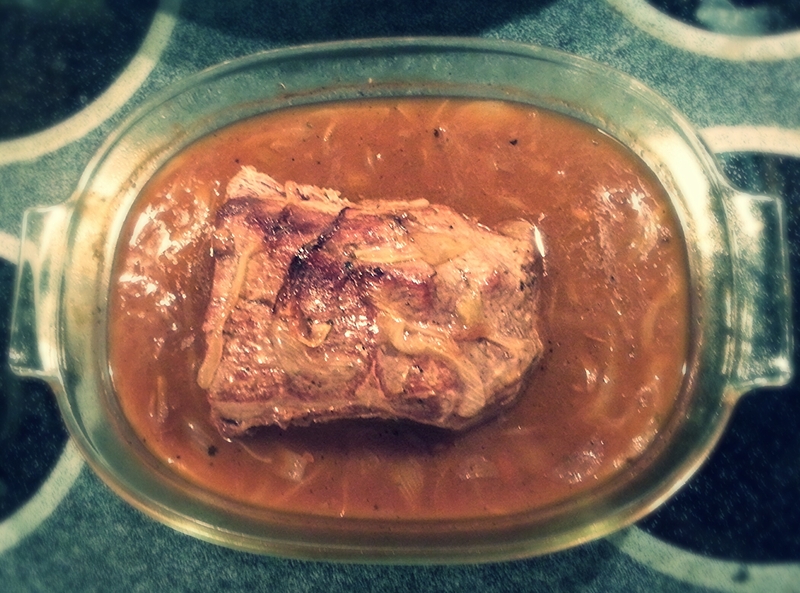 Ever since the last pot roast, I have felt the need to seriously redeem myself in the kitchen. I mean, really. I even kept the thing in my fridge for almost a week trying to scheme up a plan to fix it and serve it for dinner. After finally giving up on it and tossing it into the trash, I started to plot my revenge. Who did I turn to in my time of need? Google! I googled and googled until I found a recipe that met my two required criteria: 1. the author of the recipe did not suggest that any fat, visible or invisible, be trimmed off and 2. that the cooking of the pot roast would take place in the oven and not the crock pot. These were the two areas that I suspected contributed the most to my last attempt going awry. I found a candidate on the Food Network website. I wrote down what I would need and headed off to the store. It was so refreshing to be able to buy a roast in the exact amount that I needed and not have to allow for the 2 lbs. of trimming that I usually do. What a bargain too! I followed the recipe exactly, except for the beef bouillon part because I think that it has msg in it. Well, I didn’t get it into the oven until 7:30, so it wasn’t done until 10:30 (we’ll blame it on the time change. or something), so it is on the schedule for Monday night’s dinner. Here is what I know: It is tender! It smells great! I pulled off a tiny piece for a taste test and it was delicious! So pot roast, I won this round. Ha! Thanks Paula Deen!